Geely sales surge 37%, leaping from #6 to #2 in the brands ranking. After slowing down from +9.2% in H1 2016 to +1.6% in H1 2017, the new light vehicle market in China rallies back up 4.8% over the First Half of 2018 to a record 11.8 million units. Sales were up each month during the period except in February (-11.2%) due to the Lunar New Year holiday. Although a momentous and spectacularly sudden trend shift is at play at the end of the period with SUVs losing share year-on-year for the first time in 6 years in May and actually losing volume year-on-year for the first time in 9 years in June, it does not yet appear in half-year figures. Indeed, SUV wholesales gain a sturdy 9.7% over H1 2018 to just under 5 million units, a pace still ahead of sedans up a very satisfying 5.5% to 5.7 million units. H2 2018 could however be a very different story and SUVs could end up dragging the market down. Elsewhere, green cars surge 112% to 412.000 units, with EVs up 96% to 313.000 and plug-in hybrids up 182% to 99.000. Adding commercial vehicles up 4.8% to 2.3 million units over the period, the overall Chinese new vehicle market is up 5.6% or 750.000 units to a record 14.1 million wholesales. At this pace, Chinese wholesales will easily break the symbolic 30 million annual units by the time 2018 comes to an end (exactly 30.5 million), keeping in mind China was already the only country in the world to ever cross the annual 20 million units back in 2013. Note used car sales advance even faster at +13% but still have a lot of ground to catch up at just 6.6 million units. Sedans are up 12% to 3.9m, buses up 15% to 701.000, trucks up 14% two 590.600, SUVs up 37% to 552.700 and MPVs up 13% to 386.400. Chevrolet is up 40% on H1 2017 thanks to the continued success of the Cavalier (+55%). In the brands ranking (no imports here, only wholesales to dealerships and not to end-consumers), Volkswagen (+5%) roughly follows the market to 1.54 million units, able to maintain an unsurmountable lead over all other carmakers in market: the German carmaker sells more than double the #2: Geely. The Volvo owner stuns once again with a splendid 37% year-on-year gain propelling it from #6 a year ago and #2 Chinese to a clear second so far in 2018 and by far the best-selling Chinese manufacturer with over 720.000 wholesales. Geely knocks Honda (+1%) and Toyota (+7%) down one spot to #3 and #4 respectively. Nissan soars 14% and two spots to round up the Top 5, overtaking Buick (-6%) and Changan (-9%) both in difficulty. The tail end of the Top 10 is extremely dynamic: Baojun gains 17% to over 470.000 units but could be handicapped in H2 by over-cannibalisation within its constantly renewed lineup (see further down). Hyundai (+26%) offsets a horrific start of year in 2017 when anti-Korean sentiment locked sales down. Finally, Chevrolet (+40%) posts the largest gain in the Top 25 thanks to the success of its low-cost Cavalier. Suddenly, Qoros wakes up: +412% thanks to the 5 SUV accounting for 87% of sales. The two manufacturers ejected from the Top 10 over the period are notable: SUV leader Haval drops 18% as the H6 struggles to compensate for an otherwise ageing lineup while for Ford, 2018 its annus horribilus with wholesales freefalling 39% to see its ranking drop from #10 to #19. Audi (+16%) manages to remain the #1 premium marque when only wholesales of China-made vehicles are taken into account, ahead of Mercedes (+21%) and BMW (+13%) but overall retail sales including imports place Mercedes #1 with 340.000 sales (+16%) above Audi at 306.590 (+20%) and BMW at 286.536 (+3.4%). In the Top 50, spectacular gains are rarer than usual in China. Among foreigners, Citroen (+72%), Kia (+36%) also benefitting from a low 2017 base, Cadillac (+39%), Volvo (+30%) and Mitsubishi (+26%) stand out, but the biggest improvements remain by and large a Chinese affair with Qoros (+412%), MG (+91%), Roewe (+40%), Zotye (+37%), Changhe (+28%), BYD (+21%), Venucia (+20%) and Hanteng (+17%) the most impressive. WEY ranks #31 so far in 2018. No less than 8 new brands have officially made their appearance in the Chinese wholesales ranking over the past year or so. Technically, WEY has been present for more than a year, resulting in a whopping 2353% gain to just under 78.000 sales with 3 nameplates (VV5, VV7 and P8) but is the only recent launch to approach the Top 30 brands over the period at #31. However WEY sales have kept decreasing throughout the year to fall to just 10.481 in June vs. a record of 21.349 in December 2017. Lynk & Co on the other hand continues to grow, hitting a record 9.247 units in June and up to #41 over H1 with a little over 46.000 wholesales. Below, Traum (#63), Yudo (#71), Dearcc (#73), Arcfox (#78), Xpeng (#80) and COS (#83) are also new. 2018 could be the year of the VW Lavida’s first annual win in China. 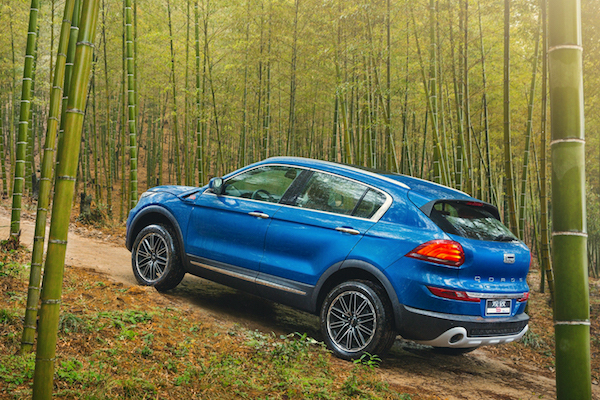 Over in the models ranking, capping 3 months on top and a new generation, the VW Lavida (-6%) edges past the Wuling Hongguang (-8%) to snap the top spot for just 1.114 sales with the Haval H6 (-3%) holding onto the #3 spot only 1.911 units above the Baojun 510 (+111%). There are a few forces at play here: despite the addition of an SUV variant (the S3) at the end of 2017, the Wuling Hongguang should be losing the annual position it has held without interruption since 2013 by the time 2018 comes to an end. 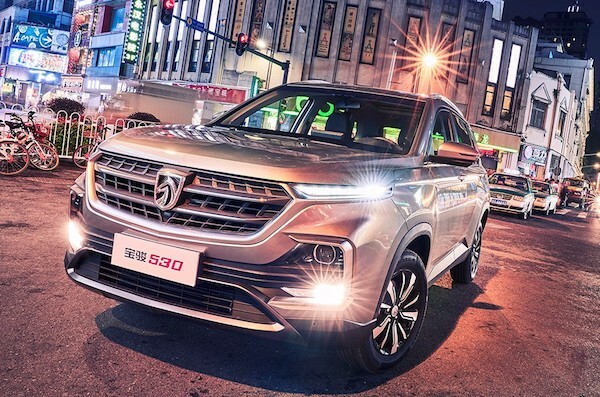 Indeed the Baojun 360, launched in May, has already started cannibalising its sales and should increase the pressure in H2, at the same time killing the Baojun 730, down 55% over the period and falling from #11 to #55. 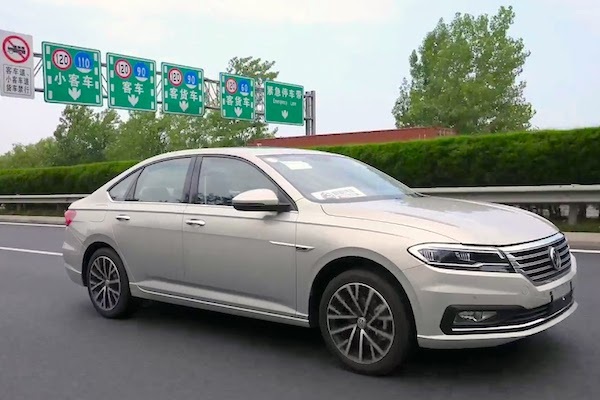 It would be the very first annual crowning for the VW Lavida on the other hand, and the first Volkswagen to top the annual passenger car sales in China since the VW Jetta in 2008. The Haval H6 has managed to see through the Baojun 510 threat to the title of #1 SUV in the country it has held for 58 of the past 60 months. The 510, the most successful launch in automobile history, has ended the career of the 560, down from #23 and 90.600 sales a year ago to… zero so far in 2018, but the more recent and larger 530 (#63) has stopped its progression. Surprisingly jolly despite being deep into their respective career cycles, the Nissan Sylphy (+17%), Toyota Corolla (+15%) and VW Sagitar (+11%) follow in the ranking while Volkswagen monopolises the remainder of the Top 10 with the Tiguan (-8%), Santana (+13%) and Jetta (-5%). The Chevrolet Cavalier soars 55% just as the Buick Excelle GT freefalls 42% from #4 to #18 in the leadup to the new generation Excelle launch. 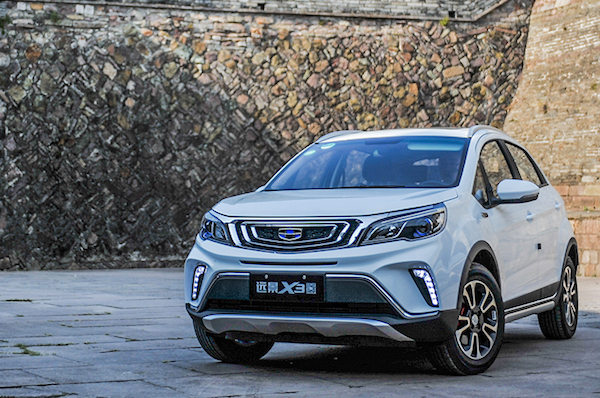 The Geely Boyue gains 12% and two spots to end the period just outside the Top 10, distancing in the SUV segment the GAC Trumpchi GS4 (-28%) desperately needing a new generation, the Roewe RX5 (+19%), Buick Envision (-6%), Nissan X-Trail (+32%) and Changan CS55 (+2510%) which launched a little over a year ago. Geely dominates the Chinese sedan segment with the ever-green Emgrand (+10%) ahead of the Baojun 310 (+23%), Geely Vision (+18%) and Emgrand GL (+51%). … but the Baojun 530 was the best-selling new launch from April onwards. 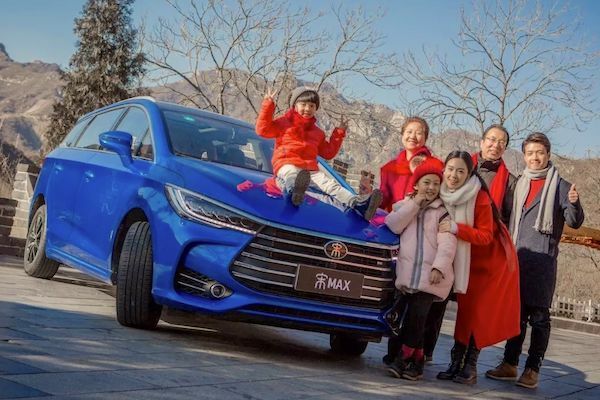 From the whopping 72 new nameplates laughed in the past 12 months, the BYD Song MAX is the most popular so far in 2018, landing directly at #35 with just over 81.000 wholesales. 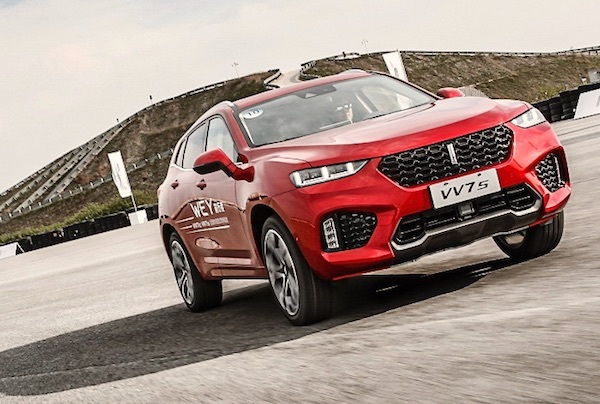 It distances the Geely Vision X3 (#57), Baojun 530 (#62), Lynk & Co 01 (#78), Geely Vision S1 (#79), WEY VV5 (#90), Kia KX Cross (#93), GAC Trumpchi GS3 (#95) and Venucia D60 (#99). The SUV wave is indeed still front and centre over H1 with 7 of these 9 new launches being SUVs vs. only one MPV and one sedan. Full H1 2018 Top 85 All China-made brands and Top 540 models below. 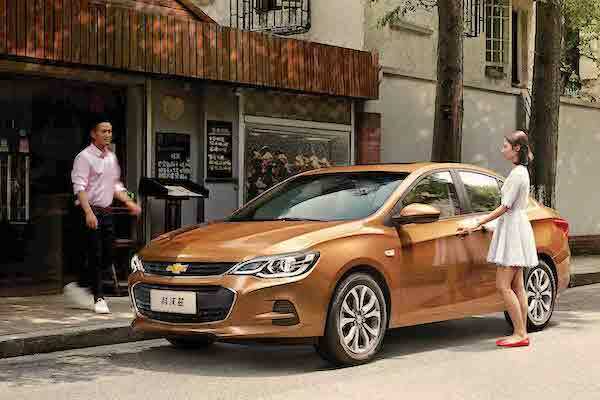 China 5 months 2012: Discover all 273 best-selling models!